Full-time undergraduate degree programme are offered over a minimum of three years. MGI’s BSc in Internet Communication is grounded in the fundamental body of communication and information systems (IS) knowledge. The programme provides a unique model of higher education. People who can communicate at appropriate technical levels will find that the programme bridges the gap between the layman and expert. The programme is a mix between a traditional technical writing programme and a Web-based information technology programme. The programme aims to develop students’ writing skills and provides fluency with the latest technologies. It provides students with a solid grounding in the academic theory underpinning the main concepts of information technology and technical communication as the curriculum includes a significant experiential component, culminating in an industry project which forms part of the final year curriculum. Also in the curriculum is a range of relevant, more generalized modules, which aim to broaden the knowledge base of the student. Qualifying learners will have the freedom to choose between working for small businesses or large corporations. They will be capable of providing professional services to various types of businesses. The syllabus comprises three levels of study. Students are introduced to the basic principle of Internet Communication. Students develop an intermediate level of knowledge and skills in Internet Communication. 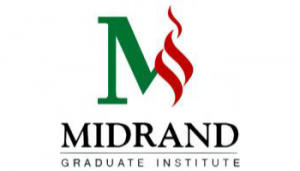 Students who successfully complete all levels of study are awarded the Midrand Graduate Institute Bachelor of Science degree in Internet Communication.